We’re proud to once again partner with the National Park Trust to celebrate Kids to Parks Day, Saturday, May 18. Kids to Parks Day is a nationwide celebration of the great outdoors and is designed to connect kids and families with their local, state and national parks and public lands. Through discovery and exploration of our parks and public lands, kids across the country can learn about park stewardship, outdoor recreation, the importance of physical activity, STEM (science, technology, engineering and math) and much more. And, teaching our kids to appreciate and enjoy our parks and public lands can foster future outdoor enthusiasts and create the next generation of park stewards and caretakers of these important places. By offering a wide variety of park activities and events on a single day, Kids to Parks Day attracts first-time park visitors, as well as existing park enthusiasts. Together we will be able to protect and preserve our country’s public lands and waters by cultivating passionate park advocates and stewards. 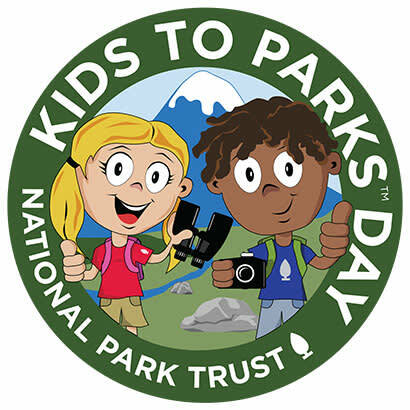 For more information, or to host a Kids to Parks Day event or find an event near you, visit Kids to Parks Day on the National Park Trust's website. We’ve also put together a helpful toolkit so that your Kids to Parks Day event can double as a Park Champion event. We encourage you to invite your elected officials to join in on the celebration!